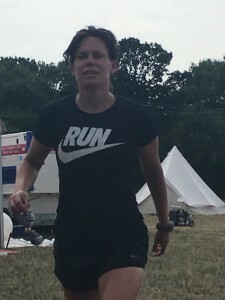 The last FitFarms fitness and weight loss camp in the UK was an interesting one for me as I got to have a stab at delivering the fitness workshop which isn’t usually my domain. We began by discussing what fitness is & what makes someone fit and it struck me that there seems to be a perception of what it means to be fit or even an image of it that is over simplistic & doesn’t incorporate fitness in a holistic sense. We broke down physical aspects of fitness into cardiovascular, endurance, strength, mobility, flexibility & proprioception, & discussed how each aspect is incorporated into exercise & it took me back a little to when studying rehabilitation & the goals of a rehab programme -maintaining/improving cardiovascular function, strength, core stability, gait, range of movement & proprioception to ultimately get someone back to full fitness & hopefully prevent future injury. All of these aspects are important & to me add up to what makes a person fit (as I read a while ago ‘the only difference between rehab & training is the starting point’). I often mention about compensatory movements, how if one area of the body is restricted in movement it will cause another area to take over to try & fulfill a movement – the body gets there but not in the best or most efficient way which may then cause problems, but if we can work on those deficits to begin with we put ourselves in a much healthier position; similarly we may be fit in the cardiovascular sense but if we have poor proprioception (balance/co ordination for simplicity!) our control over movements is going to be poor & again less efficient & potentially injurious. Ultimately fitness sits on a scale & the demands of a task/exercise/sport will dictate the level of fitness needed, but regardless of the task/exercise/sport a degree of all those aspects discussed will be needed, & in the absence of a professional assessing those fitness points it’s down to the individual to recognise where their deficits lie -the things you’re not good at & then tend not to enjoy & subsequently don’t do, annoyingly are often the things you should be doing!